Due to the volatility of the cryptocurrency market, All sales are final. What is the return policy or warranty for this item? Thank you. Are these items new or used? 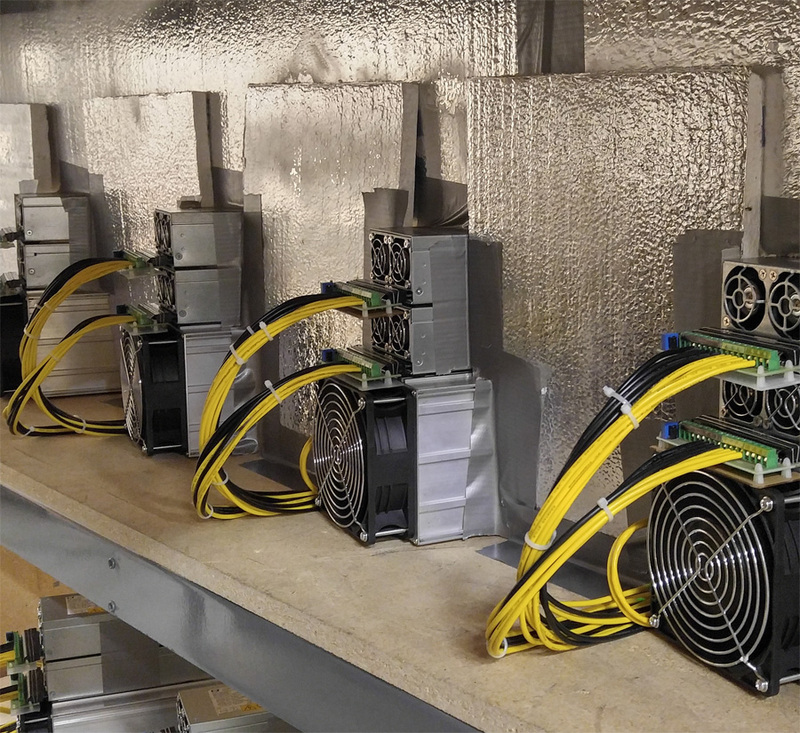 In this industry we have a saying … “There is no such thing as a new miner!” These are used. 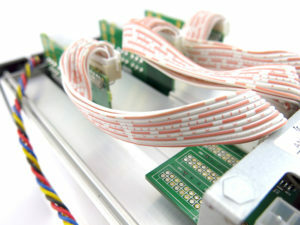 The units are parted, cleaned, tested, serialized and reassembled with new fans. They ship in like new condition. 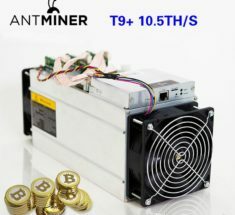 Are these 2 fan miners or single fan ? I keep trying to order 1 S7 but when I get to check out it says not enough stock to fill my order. Are they out of stock? It says 101 in stock but I can not check out? Says none in stock?? Have been trying to get in contact with a sales rep over the phone since yesterday. Wanting to complete a order on these. Can you have someone email or phone me ASAP Joseph? Trying to take care of this purchase before I leave for vacation. Sorry — Were are not answering any calls this week or will be on the phone all day. We focus our effort on processing our customers order. I will send you an email .. Reply with phone and Albert will give you a call. Hey joseph, will you ever get Antminer S9’s? We are hoping sooner. However, in this current market anything is possible until we have the unit in our warehouse. The power specs seem to line up but I want to make sure. Thanks! will these still be available tomorrow, 12/20? what is shipping cost to states? We’ve just received a shipment of both units S7 and A6. Our process is tedious and time consuming. We’ve have limited staff who knows how to re certified these units. We are working on the A6 now to be ready to ship next week. The S7’s will be on sale Monday the 25th for shipping on the 2th of Jan.
Will you have some info on the price change if any on the S7 so I can make an informed decision on which unit gives me the best hash/per $? Would these be the 5 TH units or the 4 TH units? Thanks! When will these be back in stock? It says it’s suppose to be back in stock today are they sold out again already? 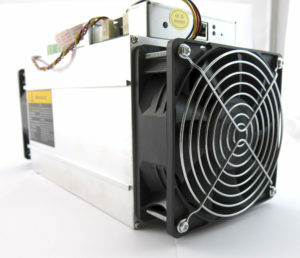 I just got my miner today its missing the white cables 18pin ribbons on the top x3 were they not part of the deal? Was wondering the same thing? I was hoping I didn’t miss it! I paid through coinpayment and then my order shows canceled before the BTC transaction is confirmed what happens? yes my payment went through but didnt receive any kind of confirmation..
Hi, I’m trying to order an s7, it says there’s 21 in stock then I get an alert that says there aren’t enough in stock. Could you please let me know how I can place this order? Will any more become available. Can we do local pickup? hey guys is there anywhere i can pre order for the next batch to arrive?? Would love to be alerted when these are available for purchase again. Thank you! Did the 5.47Th/s release yet? Hello, we are trying to buy three more S7 4.73TH/s but it says “Sorry, we do not have enough in stock to fulfill your order right now. Please try again in 60 minutes or edit your cart and try again. We apologize for any inconvenience caused. It’s done this to me for 3 hours now. Seriously guys. I bought 2 of these S7 from yall and they both STRUGGLE to get to 4.0TH/s. SOOOO unstable. hashes at 1.5 to 3.5 TH/s most of the time. It is hard to believe yall go through them and make sure they run properly when both of them even had different frequencies! As we discussed in the e-mails, it does seem like the Chinese mining pool information was the issue. Always feel free to reach out for trouble shooting via the Contacts page! Thank you for such a fast reply. I started having the issue again after running for a bit longer sent you an email. Once again THANK YOU so much for the quickest reply ive ever had when dealing with tech support! What frequency did you test this miner at? Did you use a power supply other than the bitmain? I have a board that keeps going zombie. Wish this was in stock. They had 11 in stock today and within an hour they were gone! Can you please give us a heads up when you are going to put more up? I bought one and it died in 45 days. I am seeing if the will sell me discounted replacement boards. THESE ARE USED AND WILL FAIL BEFORE YOU MAKE YOUR MONEY BACK. I will change my review if they work with me. BUYER BEWARE!! Had to return control board for replacement due to abnormally low hashing… since the replacement doesn’t clock over 3900gh/s (occasionally 4000 and change). Machine I got doesn’t go past 3900gh/s. Touches 4k gh/s occasionally. This is after you replaced the control board. What power supply do I purchase for this item? Please check your spam box because I replied the same day with basic troubleshooting steps. I also included a work cell phone number to call for real-time tech support. I will also be letting our senior tech support guy know to get in touch with you to resolve this issue. I should have known to check the spam folder, I apologize. The email was sent there. I am replying right away so customers see that you guys did respond same day. I am going to try the provided troubleshooting steps now. Some of the S7 we had available were built at factory with only (1) fan. If the unit is working at expected temps then your S7 is one of them. update: Fan situation explained and resolved. can i pay for these through paypal or must be crypto? and do u have a estimated time of the sale? Loose middle board and doesn’t power on. Power supply and source are both working fine. Requested a refund and will update on how it goes. Boards on the S7 and S9 are suspended on track within the case and are normally lose. I ordered one of these from you and I was nervous after sending my bitcoin, because you sent a confirmation of the order, but never sent me a confirmation that the device was actually shipped. Then a few days later it showed up at my door. The product worked as advertised. So I just ordered four more of these and the transaction was confirmed with coinpayments. But I still don’t have an email from you guys even confirming the order. Good company, but you all need work on the communication. I know you’re swamped but sheesh hire another guy! Seriously though, thanks for selling a great product at a fair price. Yeah brother I heard that. When will more be in stock? And what’s the word on the s9 units? Thanks! I made 2 orders with my email adress in this account but only 1 is displayed in the “orders” section. Are my 2 orders ok and my 2 payments received ? thanks in advance for your answer. When will you guys have more in stock ? The unit was shipped very fast and has been working great. The only thing I recommend is sending out updates on when the products are shipped. I had to contact the company to receive the tracking number. Other than that, I’m very impressed. Thanks! Hi Joseph, Will these be in stock anytime soon. And do you do international delivery? We are still catching up on orders from last batch. We ran out of the 120mm fan we use on the S7. Currently sold out and expect to be in stock Monday. It will be a couple more days before we relist. Any ideas when these are back in stock? Can you only pay in bitcoin or can you use a card? Thanks for informing us ahead of time to have money in our Coinbase account.. that really screwed me over. Usually you can purchase items on your website on a card. Sorry about this, really not our intention. When it come to miners them self we only accept Crypto payment and all sale are final. 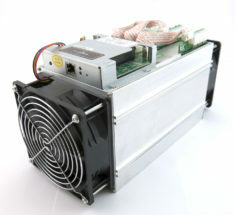 I bought 2 of these miners. From the moment I turned them on I had issues. The hashrate was all over the place. I Changed pools and it seemed to be cleared up for about 2 hours then the hashboards were dropping out left and right. I pulled the comm cables and swapped them around with no success. I cant run them over 4.1 TH/s at all. Most times 1 board will die every 15 minutes and the other one has had all 3 boards die. they are VERY unstable regardless of my actions. At this point im at wits end because for me $1700 is a lot of money to have products that don’t work. The support team is currently working with me on a solution but as you know that cant come quick enough. The game of crypto is a tricky one and the sooner you can get hashing the better. So downtime is a BIG deal. Im sure they test all the products before they ship but I guess my two miners got overlooked somehow because they are quite frankly lemons. I hope to reach a resolution with these guys as they have been very helpful so far BUT this shouldn’t have happened to begin with. Hey can i receive some help? After a while one s7 started to have issues. One or two of the boards drop down to 16c and the miner hashes between 1.5-2 TH. Any advice? Hope for a response soon. Thanks! I still have not been contacted. It has been three days I haven’t received any type of contact about my S7. mine dont die they work but with factory frequency they dont go over 4.1/4.2 th/s what is optimal frequency they should be set at or is this something we shouldnt mess with? Received one(of four) with faulty hash board (all X’s on status page). Have checked connnections and everything else without opening up. Should I just submit the RMA and send it back? Order # 14287, I have emailed both Missa and you (Joseph) with no response in 3 days. Based on your e-mail the technical assistance you needed was beyond my knowledge so I had forwarded the e-mail to our senior tech support guy. I was unaware that he hadn’t replied to you, so I will be verbally reminding him now. I received an s7 and am getting a red flashing light and continual beeping. I have ordered 3 asic miners from you, and so far the 2 that have been delivered have not worked. I have also tried contacting several times in regards to this and an Avalon6 that is not working either. Please advise. I ordered four s7s and had to RMA two of them due to them not working. I received 2 replacements and they are dropping hashing boards every 15-20 minutes. I have contacted your support team to issue the RMA shipping label but am still waiting after almost a week. I’ve read the past couple reviews with low ratings, which made me think that this recent batch might be bad, however I got my S7 today and it is operating at 100% of advertised hashing rate. 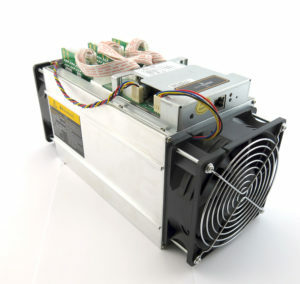 I’m using the 240v 1400 watt Delta power supply and both the Miner and power supply are running nice and cool. Shipping was relatively quick (for the ground option). Lastly Missa is probably the best customer service rep out there! Will definitely buy from here again! This is one bad batch. The S7 is not holding its hasrate, dropping to 3TH and eventually stopped hasting altogether after 24h. Waiting on Missa’s response how to rma this. Since I wont get a call back or a reply to my numerous emails via the contact form since last Thursday 1/18/18. I will have to put my email here. I need instructions on how to return this defective S7 and get a replacement! We just received our S7 Antminer and it is clearly unstable. 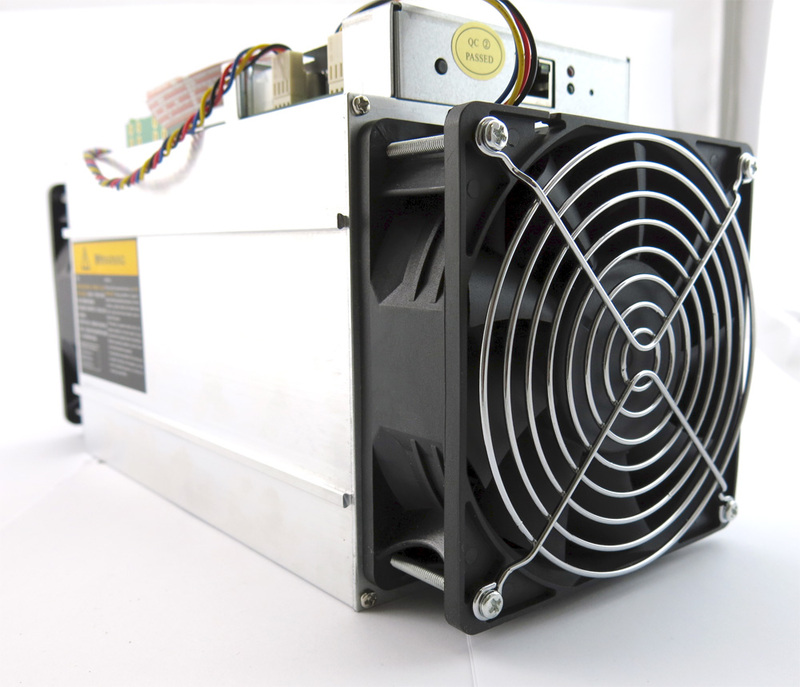 We are using a bitmain APW3++ PSU so power should not be the issue. We have multiple S9’s running perfectly fine and they are on same network and under the same environment. The S7 is running at an avg. of 2,052 GH/S and bounces up and down between 3,500GH/S and 1,000GH/S, sometimes reaching 4,200GH/S. We are running at 650M frequency which is the setting it was defaulted at when we received it. we have changed to 625M and 700M and has pretty much the same ratio of instability. Visual/Auditory observations – The S7 fan speed ramps up and down A LOT, obviously the output of GH/S increases when fan speed does and vice versa. With that said Chain #2 is always at a 10+ Temp difference to that of Chain #1 and Chain #3, Chain 1 and 3 always is within a few temps of each other. Averaging 51Temp and Chain #2 averaging 40Temp. I’m following up with my previous review to say that I was contacted same day when I sent them an email but unfortunately the email went into spam and I did not catch it. I am working on troubleshooting steps with support now. Following up, since I haven’t got any response back about RMA; I have changed the frequencies up and down, but the miner remains highly unstable. Works ok for a few minutes and stops hashing and reboots. An S9 in the exactly same environment has no issues. It will fail before you make your money back. Two boards died in 45 days and I am SOL. Over a month later and still having issues. Purchased 4 units in January (Order # 14287) with one having a faulty hash board(x’s). After RMA’ing the board I still was having issues with it sporadically dropping hash rates with low temps. Was advised to send whole unit back for replacement. After receiving “replacement” unit I am still having the SAME issues with this one. I’ve tried every troubleshooting method I can come up with. Different PSUs, checked all cables, adjusted frequencies, ect. I emailed Albert Monday the 19th of Feb. explaining the issues with this replacement unit. No response. Emailed again the 27th and still no response after 2 weeks. As of now I am out $800+ on this unit and over a months worth of mining profits. I apologize in the delayed response. I have your replacement unit currently being tested with your pool and worker configurations. Your replacement will be shipped out after 24 hours of testing if no issues occur with the unit. Please check your email for a prepaid return label for your RMA. Same issue as dabomb6608; 2 failed repair attempts and the miner is still not holding its hashrate. No repsonse from support anymore. Managed to keep it working at full hash for 4 months, one board failed, then 1 month later another board died. I keep it on the shelf to remind me of what “not” to do in the future.